You catch these killers by getting into their heads, but you also allow them into your own. Editor’s Note: This article has been marked “Not Safe For Work” due to elements which contain graphic violence and mature content. The best horror fiction sends us into a free fall. With no point of reference, sounds and images take on the terrifying weight of possibility. What looks like spilt wine might be blood. That tree branch caught in the wind and tapping at the window could be the razor sharp claw of a dreadful beast. Bryan Fuller’s Hannibal, the 2013 NBC adaptation of Thomas Harris’ novel Red Dragon, is a 36 hour case study in this type of storytelling. To watch Hannibal is to plummet through fearful uncertainty, searching for verification, hoping that the worst-case scenario is just a figment of your imagination rather than a terrible, all-consuming truth. After each episode’s cold open we are reminded that this is what Hannibal is about. A short, sharp, and unsettling title sequence, designed by Emmy and BAFTA-winning design studio Momoco, takes us on a 20-second sink through uncanny imagery. Red liquid splashes over a white background. Dissonant music plays underneath – four pulses of metallic string, each searching for their tone – and the liquid finds purchase on an invisible throat, running up to reveal the surface of a face. The blood (or is it something else?) fills more faces, unrestricted by capillaries or veins, revealing hints of familiar characters. Will Graham (Hugh Dancy), the existentially lost empath; Jack Crawford (Laurence Fishburne), the fisher of men. 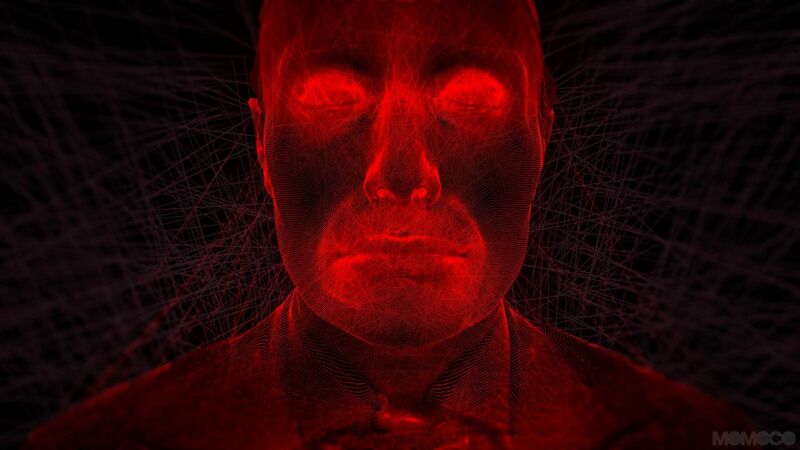 Finally, as form and familiarity begin to outweigh abstraction, we are shown a final face in full portrait: Hannibal Lecter (Mads Mikkelsen), the man who it’s all about, before a blurred title card quickly shifts into focus. From its first episode, in which the hyper-empathic criminal profiler Will Graham is partnered with Dr. Lecter to aid the FBI in solving the bureau’s most grisly murder cases, Hannibal frequently uses an unreliable narrator to disorient its characters and audience. Over the course of three seasons, the show sustains its elusiveness, dodging clear definition and keeping that sinking feeling in the pit viewers’ stomachs strong, allowing for optimal chills, creep-outs, and moments of grotesque revelation. 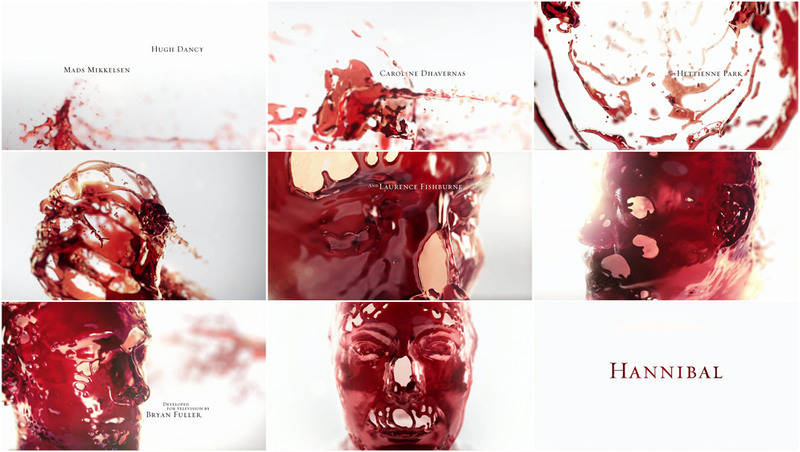 That Hannibal Lecter’s face and name anchor the title sequence, just before the first notes of act one, is appropriate. In those rare moments when we the viewers are rescued from narrative disorientation and given a taste of truth, we’re confronted with the darkness of the show’s brutal reality. 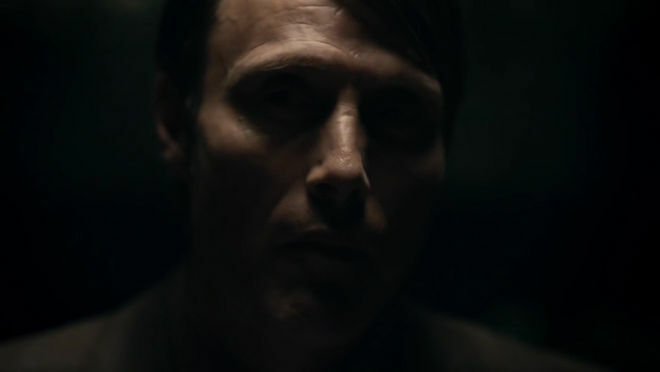 It all leads back to Hannibal, the maniac who fed you your daughter’s ear. Hannibal is the voice on the other end of the line, telling you it’s time to kill your family. He is the reason you happily fed your own face to a pack of dogs. Just like in the show it introduces, Momoco’s title sequence gives us splashes of implication and innuendo before we land from our free fall and terrible clarity is forced upon us. The wine was blood. There was a monster at the window. The truth is always as horrible as it seems in the brutal and beautiful nightmare that is Bryan Fuller’s Hannibal. A discussion with Title Designers NIC BENNS and ANDREW POPPLESTONE of Momoco. So how did Momoco become involved in Hannibal? Did the showrunners come to you with a vision for the opening? Nic: Bryan Fuller was exploring a route with another studio. Show director David Slade called with a specific direction he wanted to persuade Bryan with. His rough cut [of the pilot] had some beautiful, surreal, and striking moments. We first met on Hard Candy, his debut feature. Having shot many music videos he was comfortable pushing visual boundaries into abstraction. Miki Kato explored the thriller, the concept of pain, incarceration in obscure ways before focusing on the environment and space of the story. Nic: On his follow-up, 30 Days of Night, with more producers involved I had to develop a more traditional expansion of the film’s tone and texture with the titles. He brought in they same editor and director of photography so he’s quite loyal with teams. On Hannibal he knew we’d deliver something fresh so he could focus on the editing and VFX. So what was Slade’s concept for the titles and how did you develop it? Nic: At the time David felt that fluid dynamics was the future of motion design. We discussed exploring macro details that introduced character elements – e.g. Will has chaotic “psychic” talents, so we might find his eye forming turbulently. With Hannibal it would be his mouth. We were stuck on Jack. Hair? Brain? Nic: We began the storyboarding, with Andrew exploring the key concept while Miki and I produced alternate directions – or padding – in case David wanted to cross-fertilize more elements or styles. You mentioned the rough cut of the first episode had some beautiful and striking moments. What were some of the scenes that stuck with you? Nic: Will's dream of the girl floating in ether before antlers erupt out of her. Stark and shocking, simple photography and cutting. The food shots are intimately crafted and I like the bold, graphic composition when he shoots on set. Andrew: The dead body they find impaled on the antlers was incredibly strong. That really set the tone of the show for me and is somewhat the feeling we attempted to reflect in the titles. It's horrifying and shocking, yet hauntingly beautiful at the same time. It’s horrifying and shocking, yet hauntingly beautiful at the same time. 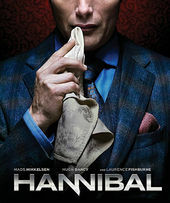 The show’s title itself, Hannibal, carries a lot of cultural weight thanks to movies like Manhunter and The Silence of the Lambs. How did the fame of the franchise inform your design decisions? Nic: Well it had to be classy and beautiful. The typeface Requiem, designed by Hoefler, echoes the Renaissance. Previous films had drawn the audience in elegantly, so we didn't want the opening to be a wall of viscera. The blood was later thinned out to be a bit like Chianti – some execs were actually more comfortable discussing it as wine. They preferred to refer to the blood as wine? Did that squeamishness affect the notes you received? Nic: It's interesting because there’s quite dark stuff in the show. It may be that when discussing the sequence, it can sound more gory than it actually is. Diluting the blood, making it more translucent was as far as it went with “safe notes.” Andrew comped a version where the blood was real dark and opaque, grizzly but gorgeous, yet we couldn’t persuade them. When it was embraced and seen that it wasn’t all going to be a visceral splasher they were happy to push things a bit. One of the producers suggested Hannibal opening his eyes – awaking – excellent idea but it was just too late to model and deliver. Should have asked for that on series two! 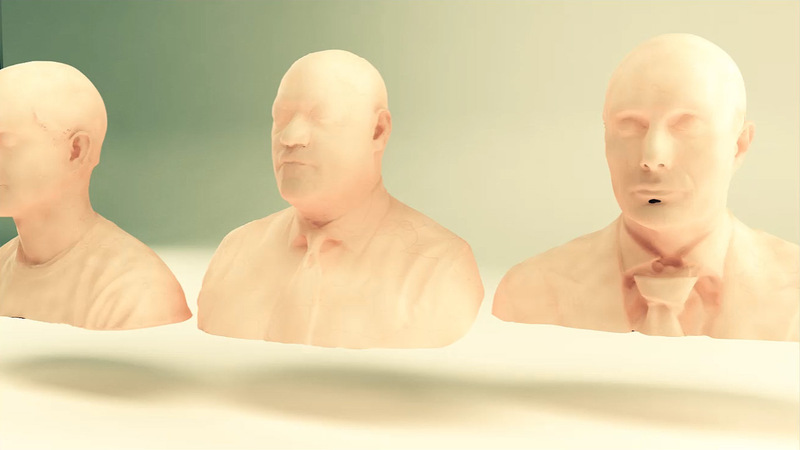 You 3D scanned the faces of the three leads – Hugh Dancy, Mads Mikkelsen, and Laurence Fishburne – for the sequence. What can you tell us about that process? Nic: It was done at Industrial Pixel in Toronto one afternoon. The actors each sit on a turntable, a pattern is projected onto them while two cameras pick up the reflected points of light. 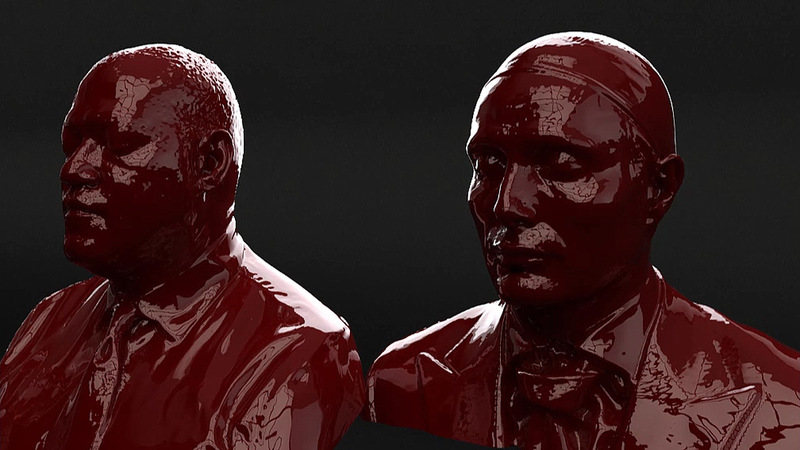 Reference shots of Hannibal actors Mads Mikkelsen (left) and Laurence Fishburne (right) from their 3D scan session. Nic: The point cloud becomes geometry. Hugh and Mads hair was too fine so skullcaps were in place. The system captures pores! In some of the earlier concepts the faces of the actors are very recognizable. How did you come to the decision to make the faces of the actors more ambiguous? 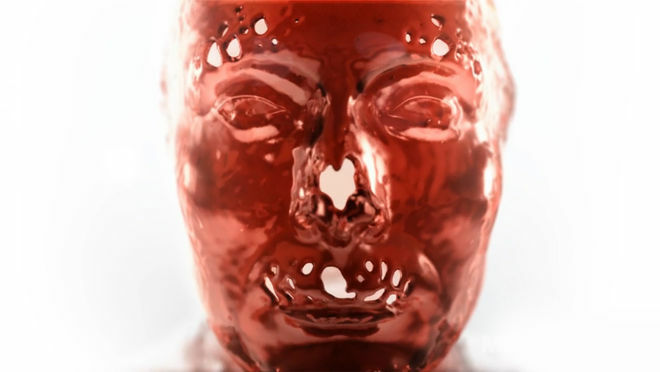 Andrew: The "blood heads" of the three main characters exist in this very clean, minimalist environment to reflect the clinical, almost OCD-like nature of Hannibal's character. We didn’t want to give the game away too early, so by keeping it pretty abstract at first and then only hinting at the faces initially, teasing out the reveal felt much more in keeping with the multilayered approach of the show. Andrew: We wanted to focus more on the characters themselves. It's not your typical serial killer show – it's much smarter than that, it's much more psychological. Therefore we didn't want to go down the obvious road of blood splatter or anything like that and kept the CG look to a minimum with simple, subtle camera moves. That way making it more unsettling, the desire was to create a sense of tension between beauty and elegance and the underlying horror of the show. There is also a heavy crime procedural element to the series. Did that aspect influence your design process at all? Nic: In some alternate boards there was a sense of pursuit – a blood trail intersecting and blooming elements from the show like the stag. Let’s talk a little bit about the music: The character comes with the baggage of an entire franchise, including his own unofficial theme song. Was there ever any talk of using the Goldberg Variations, or any other Hannibal Lecter sounds or iconography in the sequence? Nic: That's a nice idea. Composer Brian Reitzell wanted to create a soundscape that was more unsettling than a defined melody. There are textures that reveal themselves on repeated listening – some sounds are strained and contorted like torture devices or mangled clocks. It breathes with the animation. It sounds like there was a pretty tight turnaround on this project. How did this deadline compare to some of your other TV projects? Does having such a short time frame change your process? Nic: For the pitch we got six days, before the two week production schedule. Early January when everyone is getting back into the swing and agencies aren’t yet calling, was the best time to jump onto boards, all refreshed after the holidays. In general, short timeframes make you distill simpler, bolder concepts, which works here stylistically. The most important yet oddly free part is coming up with concepts. Andrew: TV is often a very fast turnaround – which we're used to – but this one was particularly short since we came on board pretty late in the day and there wasn't much time before the series was due to air. We're used to working on short time frames so this wasn't unusual. However, the production process and workflow was slightly different to us at the time. We essentially had no time for planning and R&D, so we simply had to jump in and work it out as we went along. That's never a good way of working of course but sometimes that just the way it is. Nic: Some productions leave it late to commission titles and risk getting "run for cover" ideas – familiar paths trodden. Sometimes we like the rush, fast boarding, but strong ideas need to gestate. Andrew: Yeah, just how unpredictable and uncontrollable fluid simulations can be! And time consuming. Given that the deadline was so tight and with such a small team of just Rodi and I, this was certainly a challenge. On top of that, how much you can get done in two weeks when you really hammer it. Andrew: I think the way the faces themselves form. I didn’t want them to feel like they were "filling up" with liquid or have liquid simply pouring over the surface. Sadly there’s no button in Realflow that simply says “form head”. So Rodi and I had to get pretty creative with our process and execution trying out a whole load of weird and wonderful methods to get the effect we wanted. All in all I was really happy with how those “formations” turned out. Nic: I'm happy we recognize their faces. The head scans are invisible vessels. Rodi was twisting “gravity,” imploding and driving the liquid to flesh out their features – a balance between the abstract and recognition. He'd also swing the heads upside down to produce interesting collisions and isolate alluring tendrils – I'm happy those details were woven in. They're kinetic sculptures. Sadly there’s no button in Realflow that simply says "form head". Nic: Realflow's fluid dynamics are so realistic but you have to fight and wrangle that sometimes. Viscosity, speed of impact, frame rate all have to be coordinated to achieve the right effect – if there isn't enough velocity for the impact, you won't get a beautiful turbulent splash. It also has to work in slow motion and grow enough within the brief shot, otherwise you'll just get a bit of a nose. Four years later, do you agree with Slade that fluid dynamics were the future of motion design? Nic: I've enjoyed Dvein’s work over the years – fluid masters! The idea of motion graphics being generated by physics is still exciting – the element of leaving something to chance or to “natural” forces. 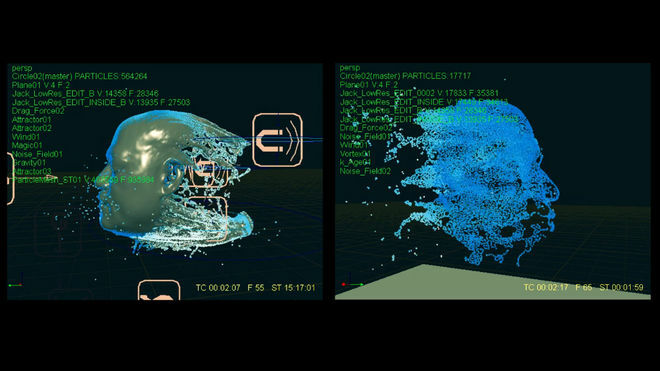 It’s really about controlling particles and there’s lots to discover in kit like Realflow, Krakatoa, and X-Particles, whether you’re creating nebular graphics or manipulating liquid. It has to be relevant though, it may not work on some period dramas. 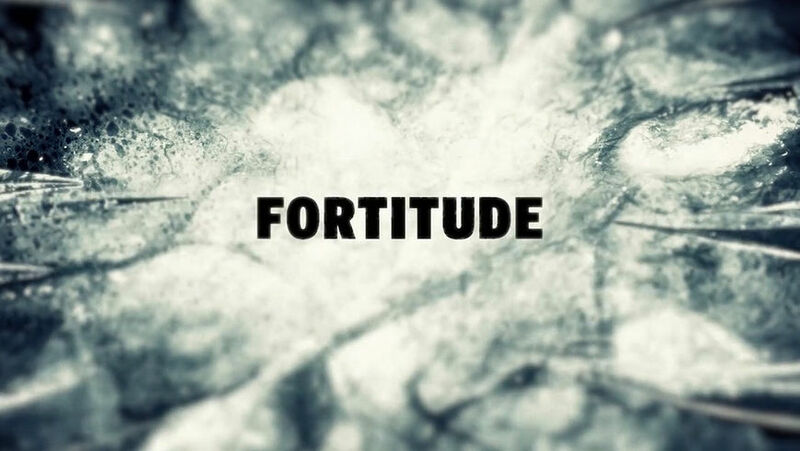 On Fortitude we resorted to X-Particles because the time-lapse stuff was taking too long to bloody grow. Andrew: There's some great stuff that's coming out using fluid dynamics and seemingly it's becoming more and more accessible and easier to use. For me it's all about how and why you use it, not just because you can. That's much the same with any new piece of software or technique. When it's used in a way that serves the concept or the narrative it makes it that much stronger, otherwise it runs the risk of just being a fad. 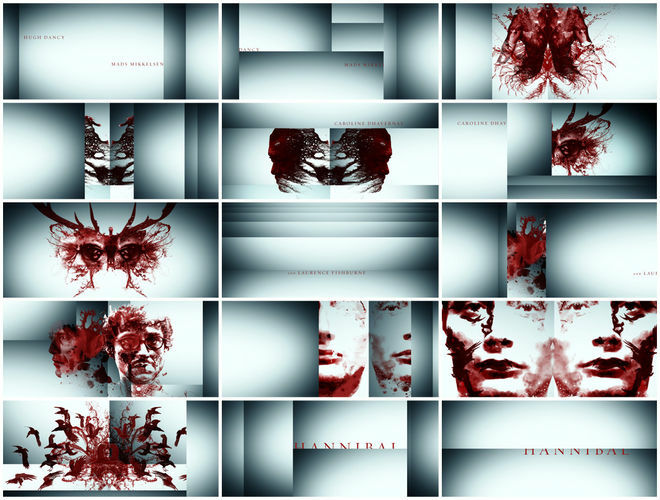 Speaking of fads, the Hannibal sequence fits into a recent trend we’ve been seeing of very short, 20-30 second television sequences. What do you think of shorter sequences? Are you being asked to do more of this kind of work for TV? Andrew: I wish the sequence could have been a bit longer and therefore had time to play with the narrative a bit and perhaps introduce some other elements. But the length works for the opening of the show and ultimately that’s the most important thing. Nic: There were shots excised for pace. If it were longer, I'd love to see it begin with a single blood drop exploding – the whole narrative unfurling from that point of origin. 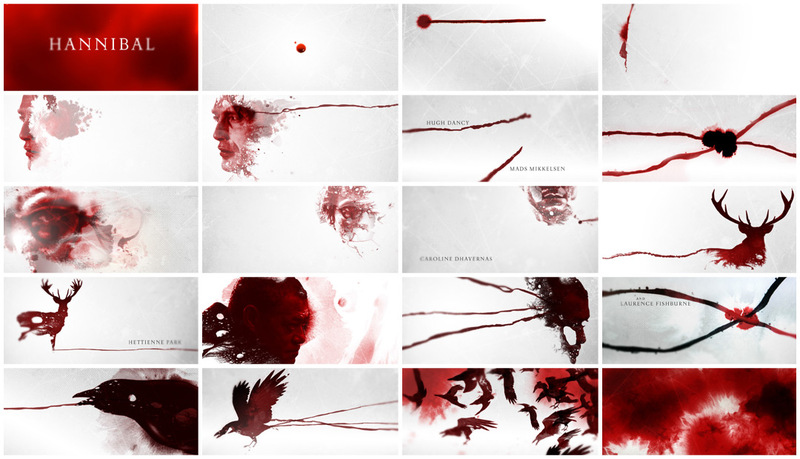 Andy also did a beautiful type animation with the blood forming the main title logo but again there was no time for that to grow. Nic: The network felt the series would be heavily boxset watched and didn't want the audience skipping titles. 20 seconds was optimum to not hit that button. I'm sure there's a thesis here. Most of our credits for TV are 30 seconds and it’s enough to set up the world and give the story identity. The issue is when we include nine executive producers. Momoco has produced work for other horror properties too. Does working in this genre present any specific creative challenges? Nic: It needs to set up an atmosphere of foreboding and suspense. We can hint at the dark rolling in but we can't reveal the terror yet. There are many haunting images in the film that we'd love to work with but we have to leave them to the unfolding story, let the audience get drawn in so the director can then unleash. Nic: Often, horror stories start from a point of normality and the audience can project themselves into the situation so we often like to create a sense of location – in David's first film Hard Candy we introduced the house abstractly. In his second, 30 Days of Night, we introduced the town like a snowblind schematic, then in the end titles depicted the aftermath of that place where we were free to show the horror. What are some of your favourite horror genre title sequences, either classic or contemporary? 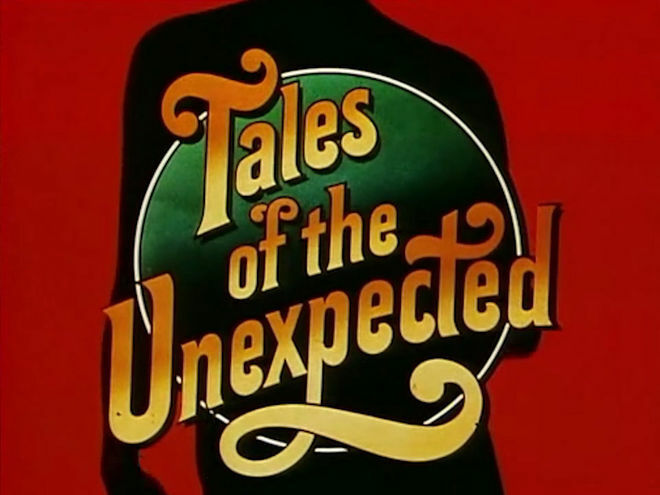 Nic: Tales of the Unexpected scarred me as a kid – get to bed before the skulls come on! Nic: Armchair Thriller has a single quite eerie image. And Chiller is out there! I've watched these recently on VHS which adds to the atmosphere. I also like Alien: Resurrection's opening, seamlessly integrating the biological and the prosthetic. Oh, and The Innocents – a child's singing on black and a single hand conveying emotion. Andrew: Well I’ve always loved the conceptual simplicity of what my old boss Kyle Cooper did on Dawn of the Dead. A simple technique combined with an amazing edit. Andrew: Aaron Becker I think has really nailed the horror genre with titles such as Sinister and The Conjuring, which I thought was bang on. Also, The Reaping has alway been one of my all time favourite sequences.